The Titan 175 gallon burial water tank is built extra rugged, with reinforced ribbing to give it increased structural integrity so that it can be buried if needed to supply you with ample water storage. Quadel Industries Burial Tanks are structurally designed to handle being buried in the ground, making them ideal for below ground water storage. 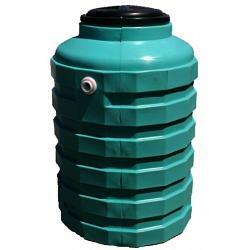 These small cisterns are perfect for containing water from your rain water catchments systems! Quadel Industries offers a 3-year warranty for all above ground, burial and hauling tanks. Quadel Industries offers a 1-year warranty for all portable septic / holding tanks.